The Chakram flies through enemies. Each enemy hit increases it’s damage and healing by 2x. Fires a single arrow that, on headshots, has +50% critical chance and explodes in a 7 meter radius. Removes punch through. 100% of charge is conserved when switching between forms. Mesa can move at 50% speed while using Peacemaker. You can now Quick Melee while Spearfishing in the Plains! Ability Strength Mods now affect both Health restore and Damage (previously was just Health). Improved balance between Vomvalyst and Infested enemy spawns during the Plague Star occurrence at night. Lephantis and Hemocyte healthbar will now move to the appropriate heads when they are being aimed at. Opened more previously locked walls in the Void that hold item Containers. Friends' current location/activity is now displayed next to their names in the quick invite panel (same as what is shown in the actual Communication > Friends list). Toned down some fog effects in the Grineer Asteroid tileset. Improved performance issues when firing the Furis or Kohm. Fixed missing objective markers for Host and Clients in the Kuva Fortress Mobile Defense tileset. Fixed Kuva Fortress Mobile Defense terminal becoming invulnerable after a Host Migration. Fixed marked enemies carrying Kuva Catalysts disappearing after a Host migration in Kuva Survival. Fixed cases of Beam weapons not correctly damaging the Nullifier Bubble. Fixed the Stug blowing up in your face when it is used with Mirage’s Hall of Mirrors. Fixed Sentinel Regen Mod not resetting when transitioning back and forth from Cetus to the Plains. Fixed your mysterious Orbiter guest missing their body sometimes. Fixed Clients not seeing Exodia Force FX. Fixed Operators being able to give a 'secondary weapon' to Rescue Targets. Fixed being able to hide in areas unreachable by enemies in the Grineer Settlement tileset. Fixed a script error when using Itzal’s Penumbra ability. Fixed Warframe Conclave stats appearing inconsistent in the Arsenal. We’re working on a script to give the respective Shoulder Armor to those who purchased the TennoGen Skin. We will update you here when it is running/complete. Script has been run and has completed! Please relog if you purchased the Banshee Sonority Skin pre-Hotfix. Fixed some cases of being unable to play Warframe if you customized your controller bindings within the past week due to broken bindings. Each week Simaris simulates a predetermined sequence of tilesets and Elite Specimens. This Onslaught is not for the leisurely, as Specimens are stronger and Simaris’ rewards for your Elite data mimic your efforts. Fight relentlessly and repeatedly until your fingers bleed - this please Simaris. First Hotfix post Update is brought to you by Onslaught crashes! You can expect more Hotfixes as we continually monitor and fix. Removed the Lua puzzle room tile from Onslaught. Given the spawning logic of Onslaught this would be a dramatic re-occurrence beyond our intended rarity for Forma. Removed a Grineer Sealab tileset from Onslaught. The Submersible water volumes do not function in the Sanctuary. Removed Crates that were dropping spoils in Sanctuary Onslaught; replaced with 100% grass fed simulation friendly standard crate spawns now. End of Mission screen now displays ‘Elite Onslaught Summary’ when playing Elite Sanctuary Onslaught. Onslaught pickups will now be heard by other players when in radius. Fixed a plethora of crashes related to Host Migrations, Conduits, etc, in Onslaught. Fixed Onslaught Conduits not spawning if a Host Migration occurs. Fixed Onslaught HUD being pre-translated into the Host's language. Fixed Clients possibly getting stuck with Mesa’s Peacemaker active if they fall into a pit. Fixed missing Onslaught Conduit FX transition and lingering white screen if you moved away from the Conduit as it spawned. Fixed intro Simaris transmission not playing for Clients when initially loading into Onslaught. Fixed incorrect End of Mission Simaris transmission when completing between 3 & 5 Onslaught zones. Fixed missing door frames in Orokin Onslaught tile. Blooming Peculiar Mod is now tradable. Supra Vandal is now tradable. Removed unintended Operator Amp parts from Quills Offerings. Fixed crashes related to enemy ragdolling. Fixed seeing numerous of the same TennoGen Syandana displayed as a filepath. Attempting to purchase this would result in an error. Fixed the Hystrix not leaving behind “quill” holes. Fixed cases of post process FX not working in Captura. Fixed wonky Leaderboard score formatting after viewing Obstacle Course Leaderboard. Fixed a script error when casting Khora’s Whipclaw. Conduits now automatically closes in 30 seconds after spawning. If you take too much of your sweet time getting to the Conduit, you will be auto-extracted with your spoils intact. This is also our intended extraction mechanism for those who do not wish to go on - simply stay behind! Improved Infested spawns by adding more spawn points in the Onslaught Derelict tile (most commonly encountered in Zone 17 of this week's Elite Rotation). Improved numerous enemy spawns to Onslaught Asteroid tiles. Removed an Infested Corpus tile and Orokin Tower tile that contained unremovable spoils in Sanctuary Onslaught. Removed a white bar in the End of Mission screen for Sanctuary Onslaught summary under the "TOTAL" panel. Fixed a crash that could occur when joining an Onslaught in progress. Fixes towards players getting a white screen after jumping through a Conduit. Fixed dark Warframe lighting when standing on broken platforms in the beginning Onslaught room before you enter the Conduit. Fixed very dark lighting in the Orokin Derelict Onslaught tile. Fixed Sanctuary Onslaught total wave score showing incorrect value after the first two zones. Fixed Sanctuary Onslaught music not playing for Clients. Fixed a crash for Clients related to casting Khora's Strangledome. Fixed a crash if you Alt-F4 with split-second precision when joining a mission. Fixed script error when trying to trade Blooming Peculiar Mod. Fixed Clients suffering from a desync issue if a Host Migration occurs in the Plains. This resulted in oddly unaligned water, enemies, etc. Fixed script error when casting Frost’s Snow Globe inside another invulnerable Snow Globe to stack them. Fixed Clients rejoining a session not having their Sentinel spawn. More fixes towards wonky looking stretched APEX particles, mostly seen with the Jat Kittag. More fixes towards the Hystrix not leaving behind ‘quill’ holes when shooting surfaces. Fixed some water colors that were appearing a bit green. Fixed Rabvee playing the wrong hit effect sounds. Fixed more cases of crashes caused by joining Sanctuary Onslaught missions in progress. Fixed crashes by timing issues more likely to happen on slower computers. Fixed enemy spawning after host migration. Fixed Efficiency meter draining while waiting for portal transition effects to finish. Fixed Efficiency Boosts not being tracked correctly when squad is split up between different zones. This will indeed be the first of many Hotfixes this week - Khora will see many changes this week that we are going to start bundling together as soon as next Hotfix! Please stay tuned - more details to come as we fight fires! - Potential fix for a deadlock that could occur between Zones. - Fixed many common crashes with Sanctuary Onslaught - still more to go! - Fixed inbox transmissions missing from Simaris - he recorded a selfie-video for you all but forgot to attach it earlier. - Removed a larger cap room from the Grineer Galleon as AI had pathing problems from them. - Fixed an exploit where hosts running at (intentionally) low framerate could cause the mission timer to run super slowly. - Fixes to ensure mission timer pauses once all enemies have been cleared and players are waiting for portal to appear. - Fixed an issue for Clients when transitioning through the portal, which could result in Clients not hearing music. - Potential fix for being sent back to previous room when falling into pit immediately after Conduit use. - Fixed issues with enemies spawning out of attack range on a tile. - Fixed issue with enemies getting stuck on certain ledges. - Rabvee strike one handed stance polarity changed to Zenurik to match existing Stances. - Peculiar Bloom Mod can now be chat-linked! - Fixed a game freeze that could occur with Sancti Tigris's Syndicate effect. As mentioned in Hotfix 22.18.4, we are gathering all efforts to fight fires and bring you Khora changes as the week progresses. This Hotfix brings the oomph/FX changes for Khora, with her meatier changes in the hands of our Designers and QA team. We now give Zone rewards the moment the Conduit portal appears instead of requiring at least one player to transition through. Fixed a crash as a result of a Conduit closing in Onslaught. Fixed a permanent white screen if a player revives during Zone cross fade. Fixed issues with time still passing when playing in Solo and pausing the game. Fixed a loss of functionality that could occur during Zone transitions. Fixed 'Wave Complete' appearing over End of Mission. Potential fix for the 'white wall of fog' that would stay up between Zones. Possible fix for no initial Conduit spawning. Fixed issues with missing sound FX within the Onslaught game mode. Fixed the 'Repeat Last Mission' button not working with Onslaught game modes. Fixed Clients not receiving rewards after Onslaught mission ends due to a failed Host migration. Whipclaw: Added more oomph on her Whipclaw burst and added additional FX if it hits enemies affected by her Ensnare. Improved Khora’s tint masks for her body and helmets to address pixelated edges at lower resolutions. Fixed Clients not seeing Khora’s Ensnare FX pulling the enemy to the main target. Fixed an issue with Sepfahn Zaw part creating it's Nikana holster when used for a 2 handed grip. Fixed an issue with the Sepfahn Zaw part making extra cloth dangles when made into a Nikana. Fixed issues with Nikana Zaws & Heavy Axe Zaws not having holster customizations. Fixed an issue with Mirage's Hall of Mirror clone kills not counting towards anything. Fixed an issue with incorrect Skins being applicable to the Hystrix. Fixed some lighting issues with the Corpus Ship Defense/Interception tile. Fixed numerous missing localization strings. We’re still in the saddle for planed Khora changes this week (likely tomorrow). 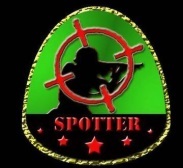 Elite: Lowered Specimen level ranges, with Zone 1 starting at level 60-70 and reaching a max of level 150-180 once you hit Zone 15 (instead of Zone 10). Elite: Removed additional Damage Multiplier for higher level Specimens. Efficiency drain ramps up more aggressively between Zones 10-20 in either Onslaught mode. Efficiency Stimulus spawns will not appear beyond Zone 15 in either Onslaught mode. Khora Blueprints have been removed from Elite rewards and replaced with Radiant Axi Relics. Other Relics have moved around rotations to fit - see our drop-table site for full drops! Removed the Rank 30 Warframe requirement from Sanctuary Onslaught - remains a requirement for Elite Onslaught. Certain Onslaught tiles now have a 20% chance of having an environmental hazard. Increased Specimen spawns in the Corpus Gas City Onslaught tile and Grineer Fortress Onslaught tile. Reverted the addition of more types of Grineer, Corpus, and Infested Specimens to Onslaught. More testing will be done for these Specimens and added in at a later time. Removed more tiles that were leading to Specimen navigation issues. Removed physical lockers and containers from the Void Onslaught tile. Removed Simaris line referring to 'comrades' when Conduit is closing to eliminate possibility of referencing other players when running Solo. A prompt will appear that indicates you need to have a Rank 30 Warframe (Elite) and have completed The New Strange quest when selecting Sanctuary Onslaught if you do not meet those requirements. Fixes towards crashing when entering a Conduit. Fixed rejoining right before the Conduit materializes can prevent it from spawning. Fixed invulnerability not being applied/removed correctly in various scenarios of jumping through the Conduit as the Operator. Fixed some Onslaught tiles having permanent Fire hazards due to explosive barrels. Fixed Wukong’s Primal Fury adding increased Range to all Melee weapons instead of just his Iron Staff. Fixed initial Conduit not showing at correct size for Clients. Quill Onkko has added a Cetus Wisp to his Offerings in Cetus. These can be purchased with Quill Standing for Architect level Tenno. Only a maximum of 4 Mine Ospreys will spawn at any given moment. Tweaked the Hagoromo Zephyr Skin to improve the metallicness of the metal and toned down the grime textures as requested by the creator. Fixed minor performance issue and crashing during the ‘Protect the Moon’ phase of The Second Dream. Fixed Dark Split-Sword Affinity and Focus being lost when a Host migration occurs. Fixed Venari UI stats overlapping text when Dual Wielding. Fixed the Vala Sugatra Prime not attaching properly to weapons. Fixed a script error related to Wall Latching. Fixed button callout showing wrong icon when swapping Move/Look to opposite sticks when using a controller. Fixed Venari's loadout slot appearing in the Conclave Arsenal even if Khora is not equipped. Interacting with Venari’s loadout slot would result in a crash. Ability casting times have been shortened across the board - Natural Talent is always great, but the base animations needed shortening. New Passive: The ferocious Kavat, Venari, fights by Khora’s side and provides her with a speed boost while active. If killed, Venari will reappear after a short time. Whipclaw will apply to and benefit from the Melee combo counter. All enemies caught in the Strangledome will take half of Whipclaw’s attack damage when one enemy in the Strangledome is hit with Whipclaw. Hitting an Ensnared enemy with Whipclaw will cause the living metal to propagate. Ensnare affects multiple enemies. When an enemy is Ensnared, the living metal will propagate and pull in every enemy within range for 75% reduced duration. The living metal Ensnaring enemies will then propagate a second time to pull in another wave of enemies within range. Procs no longer wake up Ensnared enemies. Venari is now a Passive ability - Venari is simply there, no casting required. If Venari dies, she will respawn in 45 seconds or you can summon her back by using the Venari ability for an Energy cost of 50 that scales with the Respawn timer. Venari fights independently until she receives a command. Khora’s third ability (Venari) overrides Venari’s target, as indicated by the icon over Khora’s head. Commanding Venari while in the Heal posture without a valid target will command Venari to heal Khora. Companion mods like Animal Instinct have been fixed so they will work properly on Venari. Venari deals Slash damage to enemies instead of Impact damage. Ability Strength Mods on Khora now affect Venari abilities. Changed casting animation to better reflect that Strangledome is cast from Khora’s body placement and chains now reflect custom Accent color! Once an enemy dies in the Strangledome, they will drop to the floor, making room for new victims. We still see Onslaught as a more bite-sized gameplay experience, but combined with the efficiency changes below, how far your team can last should be dictated slightly more by your ability to kill instead of hard numeric limits. The Simulation is alive and ever changing. Removed the increased Efficiency drain when you hit Zone 20 in Sanctuary Onslaught and from Elite Sanctuary Onslaught when you hit Zone 14. Efficiency drain will hit its max rate in Zone 16 of Sanctuary Onslaught and Zone 15 of Elite Sanctuary Onslaught. Removed unnecessary ice environment textures in the Grineer Shipyard Onslaught tile. Removed an Orokin Derelict tile from Onslaught that was too small - this means that Zone 12 of Elite will have a new tile. Removed an Infested Corpus Onslaught tile that was deemed unsuitable for the Simulation. Fixed Clients being perpetually stuck on the loading screen after a Host migration in Onslaught. Fixed cases of Conduits not materializing after a Host migration occurs. Fixed cases of Clients being trapped in the old Zone after the Host transitions through the Conduit first and disconnects on the other side. Fixed Efficiency continuing to drain after a Conduit has appeared and you have yet to pass through it. Once all players are through the Conduit and into the next Zone, the Efficiency will recommence draining. Fixed Specimens beating the crap out of helpless players who are trapped in the loading screen when a Host migration occurs. Specimens will now be paused while you are in the loading screen. Peculiar Bloom will now spawn a max of 5 flowers per target. Flowers so beautiful they hurt ya perf. Fixed crashes related to XAudio2 xWma voice recycling. Fixed the Loki Prime Glyphs description being unlocalized. *The Lympharis Skin was initially uploaded as a Staff Skin but for consistency with the TennoGen program, it has been altered slightly to be a Polearm Skin. A new Grineer Sealab Defense tile has been added to Uranus! Fixed Venari’s ability stats and passive speed buff UI appearing to be affected by Efficiency Mods. Ability Strength Mods are what applies to Venari’s abilities/passive. Fixed Venari’s Heal being permanently active when equipping negative Duration Mods on Khora. Fixed not being able to see Venari’s hold indicator when switching postures. Fixed incorrect icon displaying for Venari’s Healing posture. Fixed Venari script error that would occur if you're controlling the Operator when Venari respawns. Fixed Venari not disappearing when playing an Archwing mission as Khora. Fixed a case of Khora getting the Venari speed buff HUD icon when Venari fails to spawn. Fixed Venari attacking you in the Simulacrum Arsenal when Friendly Fire is enabled. Fixed Whipclaw not spreading damage across multiple Strangledomes if it hits enemies trapped in more than one. Fixed Khora Whipclaw/Strangledome synergy not using all Mods on extra Strangledome targets. Fixed enemies bodies being auto-destroyed when falling from Strangledome that are not going to be sliced. Enemies that get that extra Strangledome slice will be auto-destroyed. Fixed Strangledome turning MOA enemies invisible. Fixed a crash when Transferring to the Operator when Khora is equipped. Fixes towards possible motion blur on Khora’s spikes in the Liset. Fixed Khora's spikes being visible when viewing Navigation. Removed Kuria’s from Onslaught tiles since Simaris does not allow the use of gear in the Sanctuary. Sahasa Kubrows can no longer dig up Resources in Onslaught. Fixed several Host migration issues in Onslaught. Fixed a Lua Onslaught tile having doors that appeared unlocked due to incorrect materials. A buff icon for Toxic Lash is now displayed so you can see the bonus (ie: after Growing Power, Energy Conversion, and other temporary power-strength buffs are applied). Zaw Strikes Sepfahn, Rabvee, Dokram and handles Korb and Shtung now have a chance to be used in Hok's Daily Specials. Ash can no longer Teleport to Cameras and Turrets, as it usually results in placing Ash outside of the map. Melee head kills now count as headshots (they already counted towards the "Get 10 headshots" challenge). Face-crit-multiplier-ahoy! Improved enemy navigation in the Corpus Outpost Defense tile. Optimizations for memory/CPU by improving XAudio2 voice recycling. Shortened "Warframe Animation Sets" to just "Animation Sets" in the Market category since it's redundant and crowds the box. Fixed Operators not being able to slide/roll in some cases. Fixed insanely fast computers not being able to transition to Cetus from the Plains. Fixed Exodia Contagion's interaction with Covert Lethality, resulting in the +100 damage being applied to the projectile damage multiplier instead of the base projectile damage. Fixed Exodia Epidemic ground slam wave counting towards finisher damage instead of the intended explosion damage. Fixed Thrown weapons equipped with Power Throw scaling with the range from Wukong’s Iron Vault Augment. Fixed players and enemies colliding with the Nullifier's weakpoint. Thwarted no longer shall be any attempts to vertically depart that ability-bereft spherical hellscape. Fixed Pets disappearing after Warframe dies and Revives, even though the Pet was alive before their owner's death. Fixed Pets losing loyalty when they shouldn't/not losing loyalty when they should. Fixed a pickup prompt appearing in Simaris’ Relay Sanctuary. More fixes towards crashes related to XAudio2 xWma voice recycling. Fixed a crash where the audio device is lost and fails to initialize. Fixed one rare crash that could occur when audio device is lost. Fixed some Captura Scenes resulting in an automatic "mission failed" and booting you back your Orbiter after 15 minutes. More fixes towards cases of ‘Supercat’ Kavat issues. Fixed Sentinel customization selection not reflected in the Cetus Arsenal when hovering over them. Fixed Archwings using its default colors when trying to copy default Warframe colors onto Archwing items. Fixed coming back to the Relay from a mission/Simulacrum would pause your Kubrow, resulting in him/her standing in one place forever. Fixed selecting "Return to Orbiter" in the Simulacrum and then cancelling would cause you to end up in your Orbiter if you then used "Return to Relay". Fixed script error when switching modes in your loadout where the Warframe in the previous mode was Chroma/Nidus/Equinox and the Warframe in the new mode is Khora. Fixed Zaw Components spot loading when hovering over them in the Arsenal. Fixed Client projectiles not getting destroyed which can result in performance issues. Fixed ambient sounds disappearing in certain areas of Maroo's Bazaar. Fixed level holes in the Grineer Asteroid tileset. Reduced the casting speed of Mag’s Crush in Conclave. Reduced the damage of Khora's Venari in Conclave. Reduced the damage of the Dual Keres in Conclave. Fixed avatars spawned from Warframe abilities being highlighted as enemies to their creator in Conclave. Removed the unreleased Two-Handed Katana Stance Mod. Returned the Skeiron Zephyr Skin to its original matte material. Improved the Hagoromo Zephyr Skins metallic materials at the request of the creator. The GPU Particle setting will now indicate if your system doesn’t support the new particle system. Fixed a case where Clients may get stuck unable to cast Saryn’s Spores anymore if they cast Spores on a target that dies during the cast. Fixed Saryn’s Spores HUD indicator disappearing for Clients after Transferring to and from the Operator. Fixed Saryn’s Spores not doing damage while in Operator but damage continuing to increase over time. Fixed Saryn’s Spores active indicator remaining when switching to Operator. Fixed Saryn’s Spores breaking if you go through the Onslaught Conduit while Spores is active. Fixed numerous cases of presence vs matchmaking issues. This was causing issues Inviting players and finding squads. Fixed DirectX 9 crashes related to turning off Multi-threaded rendering. Fixed a progression stopping crash in The War Within. Fixed cases of not being able to place Decorations or Polychrome in the Dojo. Fixed Gear wheel losing functionality when opening it while switching from Fishing to a different item. Fixed ‘GPU Particles’ not appearing disabled when not supported. The setting would be greyed out and could not be changed, despite showing a value indicating that it should be active. Fixed appearing to have a plethora of empty Slots in your Inventory. These Slots were not actually useable. Fixed missing Inventory items in the last category that gets loaded (which is also the only category for screens like Fish selection). Fixed the Tigris no longer having its PBR textures. Fixed numerous of the newly PBR’d weapons not applying custom Energy color. Fixed Equinox Clisthert Helmet not applying custom Energy color. Fixed the Ki’Teer Sekhara and Tethra's Doom Quantum Badge not applying custom Energy color. Fixed holding 2 Hystrix’s instead of the intended 1. Fixed not being able to F6 screenshot while in Decoration mode. Fixed a potential crash when joining a mission. Fixed crashing at End of Mission when playing Lunaro. Fixes towards crashes related to particles. Fixed [PH] text in the new Spear Fishing HUD. Fixed the Commodore Prime Operator suit and Excalibur Dex Skin having incorrect textures. Friendly heads up that we’re aware of the lavish costs to build some of the new Orokin Dojo Decorations. Our team is looking into not only reducing those costs, but also refunding Clans that have built them. Stay tuned for these changes next week! You can now place multiple Custom Obstacle Courses in your Dojo! Scaled the Ceramic Dagger to a more reasonable size. Ceramic Dagger-But-Long-Like-A-Sword didn’t have a nice ring to it. Upon completing the required Synthesis scans, Simaris' Daily Task entry in the World State Window can now be clicked to automatically load you into the nearest Relay. Optimized memory usage by Dojos with a large number of Decorations. This also fixes a crash from Decoration heavy Obstacle Courses. Made adjustments to Controller bindings when transitioning between mouse and controller. Removed the ‘Only Sellable’ option from the Ducat Kiosk menu as it doesn’t apply to that screen. Removed the controller D-Pad function from the Somachord as it does not function there. *Removed profanity filter from Loadout names. More fixes towards crashing as a result of particles. Fixed a crash that could occur if you disconnected while your Sentinel Vacuum was sucking up an item with particle effects attached to it. Fixed a Dx11 crash on shutdown (possibly because the graphics driver crashed first). Fixed a crash that could occur when attempting to Host a session while an existing session was still active. Fixed duplicate Mods appearing in the Arsenal after upgrading a Mod. These duplicate Mods were merely a mirage of your desires, and did not truly exist. Fixed UI disappearing when switching between Spear/Bait/Dye in the Spear Fishing HUD. Fixed sleeping enemies (Equinox’s Rest) being alerted when approaching them. Fixed switching to Borderless Fullscreen not always positioning the window properly (it seemed to only be reliable if you set to Borderless and booted up that way). Fixed a script error when casting Saryn’s Spores on a ragdoll. This resulted in the Spores to not show up (but still tick damage). Fixed a prompt with incorrect text breaking your ability to enter the Dojo Obstacle Course. Fixed being able to trap other players inside Dojo Decorations. Fixed level load music playing when loading into the Apostasy quest. Fixed Kohm’s firing charge sound staying active. Fixed selecting a linked item in Chat preventing all controller buttons from not functioning until Chat is minimized. Fixed controller input issues when Chat linking Zaws. Fixed moss acting strangely with the Simaris Data Parse Widget. Fixed overlapping controller button callouts when selecting 5+ Emojis. Fixed Invasion text overlapping when hovering over the World State Window with a controller. Fixed a script error when transitioning between mouse and controller as the Arsenal Upgrade screen is opening. Fixed a script error when switching between mouse/controller before the Inbox has loaded. Fixed a script error when looking at enemies with non-standard resistance types (Void Damage, Finisher Damage, etc) with the Data Parse Widget. Fixed a script error when casting Gara’s Splinter Storm. Fixed Conclave mode of the Arsenal not presenting/applying upgrades correctly to items. Fixed non-functional controller D-Pad callouts being visible on Conclave End of Mission screen. noted missed change: *Removed profanity filter from Loadout names. The Orokin Decoration costs/refunds mentioned in Hotfix 22.20.3 are continuing to be discussed. We expect to have those changes live this week - stay tuned! Exiting the Relic selection menu now counts as a non-vote instead of a decline. Previously ‘Exiting’ from the Relic selection screen counted as "declining" the mission, which you could not undo unless you left the squad, or the mission is cancelled entirely. You can now trade the Peculiar Growth Mod! Improved velocity and friction of small UI button targeting with a controller. Improved AI navigation in the Grineer Shipyard tileset. Reduced the loading/Star Chart percussion loop. Fixed losing Djinn after it dies and a Host Migration occurs. Fixed Carrier’s Ammo Case precept continuing to function after it has died. Fixed Onslaught Elemental hazards appearing on every subsequent Zone once it has been determined. Fixed Loki Switch Teleporting another player out of a Dargyn resulting in having incorrect animations and inability to dismount the Dargyn. Fixed Zephyr’s Turbulence doing a lousy job at deflecting Drekar Elite Lancer shots. Fixed Nova’s Null Star trail FX not using custom Energy color. Fixed Equinox Specters Rest & Rage not working correctly for NPCs. Fixed a GPU particle leak. Fixed cases of getting stuck on ceiling geometry in the Iron Wake tileset. Fixed the "Invite Squad member" button or the "Show profile" dropdown not functioning after viewing the Inventory. *Next Hotfix will have this fix! Fixed cases of scrolling inability with a controller in the Arsenal. Fixed controller D-Pad not being able to change Market item quantities. Fixed silly Arsenal rotation when switching from mouse to controller when the mouse is left clicking but hasn't been released before switching. Fixed controller cursor drift if it was moving when you closed the last screen. Fixed discrepancies when transitioning from mouse/keyboard to cursor while in the Chat window. Fixed Shift>Tab switching Chat tabs in the wrong direction. Fixed Clients ability to see Synthesis tracking FX if the Host opens the Synthesis Scanner. Fixed the Excavation UI breaking for Clients. Fixed a crash that occurred if you joined a mission in progress when someone simultaneously picked up an item. Fixed a crash that occurred in the Arsenal. Fixed a script error when entering a Dojo Duel instance as a Client. Fixed a script error when targeted by a Tusk Mortar Bombard. Fixed a script error that occurred when using a Nosam Cutter. Fixed some cases of [PH] text in the Dojo Obstacle Course. Fixed the game submitting certain types of bug reports immediately instead of saving them for after you quit. Fixed inability to deploy Extractors using Navigation at a Relay. Fixed Dojo Pigment ‘Contribute’ button being automatically selected when the contribute screen appears when using a controller. Fixed no on-screen keyboard appearing when changing Dojo room message when using a controller. Fixed a script error related to Articulas. GPU particles has been added to unique weapon Mod death FX like Acid Shells, Thermagnetic Shells, Vulcan Blitz, etc. Drain occurs once per half second instead of continuous. Targets you cast Spores on directly will always spread on death. Targets affected by Miasma will always spread on death. Spores won't be removed by enemies going temporarily invulnerable because of void tears corrupting them. Fixed Saryn’s Spore damage being removed when casting Spores on a target that is being simultaneously killed by a teammate. Fixed Saryn’s Spore damage decay drain discrepancies when entering a Nullifier bubble. Damage was decaying slower the second time entering a Nullifier bubble. Fixed Saryn's Spores and Contagion cloud not using custom Energy colors on cast/burst. Increased sickness Duration by 1 second. Reduced the Oxium crafting cost for Dojo Orokin Decorations by half. The Oxium difference will be refunded to the Clan Vault. Replaced the Orokin Cell crafting requirement for numerous Decorations to either Morphics, Neurodes, or Control Modules. The Orokin Cells will be refunded to the Clan Vault and already built Decorations that required an Orokin Cell will remain built. Optimized Foundry operations considerably for people with a lot of Inventory. Tweaked the lighting of Ember’s Fireblast ability to reduce visual clutter. Doubled the Tower White Pigment drop chance and reduced the Pigment quantity to 5. Fixes towards Clients having their Abilities blocked if they join a Host right as they transition through the initial Onslaught Conduit. Fixed Transferring to Operator mode and back in your Orbiter leaving the Transference pod open. Fixed Operator being teleported to your current Warframe position after using the Arsenal on the Orbiter. Fixed enemies Rift banished by Limbo able to interact with a non-Rifted Rampart. Fixed a rare case of some Auras applying twice. Fixed being unable to rush Sentinel crafting when you are out of Sentinel slots. Fixed a crash related to particle FXs. Fixed a loss of functionality after cancelling a Dojo trade and attempting to leave the Dojo. Fixed a crash when trying to launch extremely complex Obstacle Courses. Fixed a crash when mounting a Dargyn. Fixed the Gear wheel remaining on screen if you had it open when extraction triggered. Fixed icon discrepancies in the Arsenal when switching to controller. Fixed the (A) button for controllers not functioning when attempting to sell or dissolve Mods. Fixed incorrect binding prompts in the initial Tutorial when using a controller. Fixed the ‘View Conclave Mods’ button not functioning on controller. Fixed issues of enemies turning weird colors upon death. Fixed Elemental FX not being hidden on the Katana sheath. Fixed bullet jumping into the wall and getting stuck in the Grineer Ocean tileset. Fixed being able to get outside of the Grineer Ocean Spy map with Nova’s Wormhole. Fixed a script error when transitioning from Cetus to the Plains. Fixed a script error when using the Mandachord. Fixed a script error when using Equinox’s Push & Pull Augment Mod. Fixed a script error when scrolling through a Dojo Research item. Fixed an edge case script error that occurred when attempting to load into the Dojo. Fixed a Dedicated Server crash in Conclave. In an effort to make Excavation Fissures more enjoyable and successful, we've increased the Void Fissures spawn rates depending on how many Excavators are deployed! The Recruitment Chat channel can now be accessed while in the Dojo! The 'forced-logout 15 minutes after an update' has been changed to return you to the launcher instead; ideally this means that when you return to your PC you'll find the update already downloaded and ready to play! Leaving the launcher idle will now periodically re-check for updates every 30 minutes; again, if you want to go to bed before a major update this means you can just leave the launcher open and it'll download it while you sleep! Made the launcher aware of high-DPI displays for improved font legibility and smoother scrolling. Nova’s Antimatter Drop base projectile damage is now reflected on the Abilities screen modified by Power Strength, and the multiplier also appears as an unchangeable 8x. This is purely a UI tweak to match how Antimatter Drop has functioned since its release. Fixed Onslaught Efficiency pickup counter not tracking correctly after a Host migration occurs. Fixed Operator being "sheathed" by your Warframe during a Second Dream cinematic. Fixed the Gear wheel overlapping the pause menu UI. Fixed a script error if a squadmate leaves while transitioning between mission & Orbiter. Relaxed some performance sensor thresholds that were spamming us with diagnostics when you quit the game, which resulted in a crash. Fixed the camera clipping and violently stuttering through the wall in a Grineer Forest Capture tileset. Fixed script errors caused by numerous Warframe Abilities. Fixed some mission timers counting down one second per frame. Ripperoni Rescue Hostages. Use promo code OLDFRIEND here for a free Orokin Tea Set Decoration and a 3-Day Affinity Booster! Available on all platforms until July 20, 2018 at 11:59 p.m. ET. Well Tenno, it’s here… and we can’t thank you enough. Who would have thought that we’d be launching our third cinematic quest. With the ambitious goal of telling Warframe’s story in a way we had never done before, The Second Dream started it all. The moments you shared with us while playing through the quest is a memory all of us at Digital Extremes will never forget. So we thought… wow, we did it… Can we do it again? And so it was, we burned heaps of midnight oil to launch The War Within and experience the roller coaster of feels with you all over again. Witnessing your reaction to THE SACRIFICE teaser we showed at TennoCon last year is an emotion we can’t quite put into words. We’re pretty sure you guys shook the convention center and the internet. So we’re absolutely ecstatic that you can now continue your journey as Tenno in the Warframe universe in this new quest. From all of us at Digital Extremes, thank you for sharing Warframe with us. This once small but growing studio in London, Ontario couldn’t have done any of this without your extraordinary support, Tenno. We hope that you have enjoyed the ride so far. We look forward to seeing what Warframe has in store for all of us as we look toward the future. The Apostasy Prologue left a memento from the Lotus lingering in the Orbiter, calling back to the moment Ballas extended his hand to her. As they faded beyond grasp, nothing but fragmented transmissions from her remained. Now, a foreboding vision leads the Tenno to hunt for a savage Warframe. Will you unmask the truth in this mind-bending new chapter of the cinematic storyline? THE SACRIFICE will bring you closer to uncovering what has fallen into shadow. THE SACRIFICE Quest is available after completing The Second Dream, The War Within, Chains of Harrow and the Apostasy Prologue, and will be available in your Codex upon login. Bring your best Warframe and Operator loadouts to face the challenges that await you in THE SACRIFICE . Eclipse the darkness of Umbra with this Armor Set for any Warframe. Embody the height of companion Fashion Frame with new Umbra-themed Kubrow and Kavat Armor Sets. Outfit your Operators with these golden-age Customizations. He’s mad but he’s also cute in chibi form. Worn in battle and ceremony at late-Orokin Dax, this Syandana was seen as a symbol of power to all in the empire. And more to be discovered upon completing THE SACRIFICE quest! NEW UI THEMES AND UI CHANGES! Currently, we have exactly 131 screens in Warframe that need an artistic pass to the new style. 8 are done and ready to go - they're here today! Themes similar to above are coming for the screens we have completed, and all subsequent screens will inherit whatever UI theme you've chosen (default or other purchased themes). To change your UI theme, go to your Interface Options and select “UI Customization”. Added some sparkle to Octavia and Saryn’s Abilities with the new GPU Particle system. Added a new Challenge for completing THE SACRIFICE quest! Added a description to Captura Scenes that you own: “Explore this scene with access to advanced camera controls and visual settings”. Increased Excalibur Prime’s Armor from 250 to 300. Teralyst, Gantulyst, and Hydrolyst no longer have regenerated Shields immediately after teleporting from being stuck. Increased Titania’s Diwata damage to 200, Critical Chance to 20% and Critical Multiplier to 2x. Slightly lowered the Battalyst and Conculyst's base health from 1300 to 1150. Slightly reduced the Battalyst's projectile damage. You can now include “&” in your Zaw weapon Entitling. General audio polish for Sanctuary Onslaught. Following what we started in our previous mainline, we’ve made thousands more micro-optimizations to hundreds of scripts, including Warframe Powers, Precepts, Enemy Logic, Weapon Behaviors, Game-Modes, and the UI. Ancient and Scorpion grappling hooks no longer go through Gara’s Mass Vitrify wall. Moved UI Cursor Sensitivity setting from “Controls” to “Interface”. Moved Cetus Wisp and Maprico Tree spawn points a bit further away from water volumes in the NW corner of the Plains for gathering ease. After the target is captured in Capture missions, the level alert levels will automatically turn off after 1 minute, and enemy spawns will stop after 2 minutes. Stunning or knocking down Conculysts during their whirlwind ability and Battalysts during their omnidirectional laser ability now cancels the ability. Removed Steam controller icons from the list of selectable sets and swapped them with the Xbox One icons. Removed the “Max Enemy Count Reached” message from Simulacrum enemy selector when first opening it and selecting enemies. It will now only appear when you attempt to spawn enemies and there isn't enough space. It will also no longer clear your previous selection when it happens to be over the limit when you first open it. Punch Through Mods no longer affect the Zenith’s Alternate Fire deployable disc. GPU particles are now part of melee slam sparks by default. Optimized the Survival HUD slightly. This also fixes problems caused by playing with VSync disabled and joining a mission in progress with a poor network connection. Updated “Show Friend Invite Notifications” in your Gameplay options to “Show Friend Request Notifications” and “Receive Friend Invites From” to “Receive Friend Requests From”. Improved Decoration Placement camera collision. Updated some of the structures in the Corpus Gas City tileset. Operator Hoods will appear open and Masks removed when they are involved in a cut scene. Fixed a crash when trying to view the profile of someone who has Khora equipped. Fixed kill scan mechanic (Synoid Heliocor, Astral Autopsy Mod) not functioning. Fixed Mirage’s Hall of Mirror clones applying Melee Stealth bonus 100% of the time. Fixed being perpetually stuck in Zephyr’s Dive Bomb animation when jumping through a Conduit in the same animation. Fixed very high bloom lighting in areas of the Lua tilesets and Grineer Settlement tilesets. Fixed the mini map overlapping the Trade item selection screen in Maroo’s Bazaar. Fixed some waterfalls in the Plains not appearing in the correct orientation. Fixed puddles in the Grineer Shipyard tileset having a hard edge on their local reflections. Fixed bad lighting with the giant eye sculpture in The War Within. Fixed cloth clipping in Trinity’s diorama. Fixed popping lens flare in Titania’s diorama. Fixed the Quartakk firing sounds getting cut off. Fixed Chroma’s Spectral Scream not using Energy colors. Fixed AI getting stuck on geometry in sections of the Corpus Ship tileset. Fixed Syndicate Medallion FX not matching Syndicate colors. Fixed unintended difficulty when attempting to place Landing Craft Decorations as the Operator. Fixed Shotgun Scrambus projectiles not being deflected by Zephyr's Turbulence. Fixed the Zenith appearing to have 3 Alt-Firing modes in the Arsenal. Fixed some wonky clipping and holding poses on Warframe Articula when equipped with a Bow. Fixed flickering floor panels in Corpus Ship tileset. Fixed selected Warframe Ability resetting to #1 on controllers after loading into a mission or Reviving. Fixed fog FX from the Helminth Infirmary creeping more into the hallway than intended. Fixed a couple Obstacle Course strings having [PH] tags. Fixed issue where players could see outside of the orbiter if they looked through a small gap between the personal quarters ship doors. Fixed issue where the player would appear as an enemy if they flew a Dargyn that had been marked as a way-point. The marker will now update to reflect when a marked enemy or ally changes allegiance. Fixed the Volnus preview model rotating in the wrong direction when building in the foundry. Fixed issue where mouse UI would not transition to controller UI when the player was holding a decoration. Fixed gameplay stats not saving for ancient and ossified accounts. Fixed timed run score in Dojo Obstacle Courses being given to the hosting player instead of the client that ran it. Fixed a longstanding issue where you could spawn in the Dojo inside a deco and be stuck (often could jump out but not always). Fixed Kubrows investigating the same ragdolled enemy. Fixed colors not blending correctly into Equinox’s Night form design. Fixed AI getting stuck in ice walls in the Stofler node on Lua. Fixed being unable to back out of the Clan Permissions screen when using a controller. Fixed Hydroid’s Tentacle Swarm’s tentacles sometimes appearing underneath the tile. Fixed a script error when using the Gear menu in the Arsenal. Fixed issue where opening Warframe customization in the Arsenal caused a script error. Fixed a script error if intended recipient of a gift has no Friends, and also has their gift mode setting set to "Friends Only". Fixed script errors when casting numerous Warframe Abilities. Fixed Clients sometimes instantly losing functionality and getting kicked from the squad after completing the first stage and transitioning to Archwing in the Jordas Golem Assassination mission on Eris. Fixed being unable to purchase multiple Sands of Inaros Quest Blueprints from Baro. Fixed a random Excalibur appearing unannounced (like really, no one invited him) at Onkko’s shop when attempting to assemble an Amp and at Hok’s Anvil when assembling a Zaw. Fixed blank Gear Wheel when returning from a Bounty in the Plains of Eidolon as a Client. Fixed the camera jittering wildly if you bullet jumped before you finished crouching in an area that was too small for you to be able to stand upright. Fixed Friend Invite notifications appearing regardless of whether the associated option is toggled on or off. Fixed Specters having trouble aiming at enemies who are not standing upright when using Equinox’s Metamorphosis Duality Augment. Fixed Nezha’s Warding Halo damaging ragdolled enemies impaled by Divine Spears at a much higher hit per interval than intended. Fixed a map hole in the roof of an elevator in the Corpus Ice Planet tileset. Fixed Khora’s Venari disarming Vor after attacking him. Fixed Atomos missing its beam chain FX. Fixed Sugatras and other weapon attachments not simulating their cloth correctly if the weapon itself wasn't moving. This was most apparent on the login screen. Fixed there being no option to purchase Amp Slots in the Inventory screen under the Amp tab. Fixed an audio hang after mission debrief. Fixed missing objective text and transmission hints while searching for the Shrine in the first mission. Disabled Focus pickups in the Quest. Ran into a bug? Let us know! Fixed a progression stopper in The War Within quest where an elevator was inaccessible yet crucial to proceed. Fixed loss of functionality if you attempted to customize Gear items or Emotes by pressing Enter or A on controller after hovering over it in the Arsenal. Fixed not being able to close the Decoration Placement Key Bindings screen. Fixed a progression stopper where the end quest cutscene would not trigger. Fixed a progression stopper in the Arsenal when swapping around Umbra. Fixed edge case progression stopper where Sentient Mimics could hold open a locking door for a player, letting them get locked on the wrong side. Fixed missing jump action for Umbra to get down from ledges. Updated the new Glowing Sentient Core Decoration description to clarify that it is a Decoration for your Landing Craft. Using ‘mouse button 3’ in the Simulacrum will now auto add 5 enemies to the spawn list. Fixed the game crashing a few seconds post-launcher. Fixed Sniper combo not decaying over time and instead resetting to zero. Fixed Rollers not being affected by Limbo's Cataclysm (or Stasis) if they are already within the zone when its cast. Fixed Euphona Primes bullet spread not being based on the crosshair as a center point. Fixed Gifting a UI Theme resulting in it being instantly auto-equipped. Fixed Baro’s Vendor screen not displaying your Ducat inventory amount. Fixed Pets attempting to use Pet Beds while you're in the process of placing them. Fixed screenshot folders with 10009 images in them resulting in new screenshots going in your install folder instead. Fixed entering your Arsenal with Excalibur’s Exalted Blade active causing no Mods to appear in the Modding UI. Fixed clicking a locked Exilus Slot and canceling the purchase prompt locking the UI on the “Please Wait” screen. Fixed Mirage’s Hall of Mirrors clones not displaying any of your equipped weapons. Fixed missing UI click sound in some menus when using the Legacy sound option. Fixes towards the Extractor selection screen overlapping the Squad menu UI and tooltip when hovering over Extractors. Fixed Boosters not displaying in Baro’s inventory if it’s available as an offering. Fixed max enemy cap not being enforced in the Simulacrum. Fixed icon missing for the Prisma Grakata. Fixed Energy colour element not appearing when you change your Energy colour on an Excalibur equipped with the Chromatic Blade Augment. Fixed UI displaying double Set Mod bonuses when equipped on a regular and Exalted weapon. Set Mods only affect regular Melee weapons. Fixed script crash caused by pressing Config B for a Melee weapon equipped with a Riven while experiencing the previous listed bug. Fixed a crash when respawning in Wyrmius. Fixed a script error if mission gets cleared while countdown is in progress. Fixes towards a Modding UI script error. Fixed script error in squad overlay when voting is disabled. Fixed script error when customizing your Archwing’s energy color while a Warframe with an Exalted Weapon is equipped. Fixed script error when pressing mouse button 3 in the Simulacrum. Fixed various Syandanas clipping through Titania’s wings. Fixed incorrect icons displaying for the Push/Pull option in Decoration mode when using the controller. Fixed being able to equip UI themes you do not own. Fixed Channeled finishers with Zaws not activating Dispatch Overdrive or Exodia Brave. Fixed an unreleased Stance Mod finding its way into the Codex (nothing to see here). Fixed not being able to sell Inventory items if the value is 1 and not being able to stack more than 20 items. Fixed some UI alignment issues. We are running a script that will refund overspent Platinum to the respective accounts. We will update this thread when the script is done and relog is required! Refund is complete! Please relog at your convenience. Plains living is tough living, Tenno, especially in the sweltering summer. Channel the Ostron spirit of resilience with the Towsun Collection II! Visit the Market to get this scorching-hot Collection for 180 Platinum now! Enjoyed The Sacrifice? Share your appreciation with the world with these Vitruvian Glyphs! Each Glyph is available individually for 20 Platinum or as a bundle for 80 Platinum in the Market! Added a toggle for showing ‘Item labels’ on Inventory items in the Interface Options! Added a "DEFAULT" sort option in the Syndicate Offerings screen. This sorts the Offerings alongside their partners (Warframe Augments, Syndicate Weapons, Captura Scenes, etc). Increased opacity of Mission Voting UI panel to help readability on certain UI Themes. Flipped Blueprint Icons so that Affinity Icon is on the top right. ‘REUSABLE BLUEPRINT’ label is now displayed on appropriate Recipes. Replaced the ‘OWNED’ text on UI Themes with a cleaner checkmark Icon. Replaced the tiny ‘1’ Icon in the Syndicate Offerings screen to also be a cleaner checkmark Icon. Fixed trading partner’s Arcane Rank Icons not displaying on the trading UI screen. Fixed Arsenal UI displaying incorrect Exalted weapon after selecting ‘Randomize’. Fixed inability to confirm error prompt when the connection to the Host has been lost. Fixed some Syndicate weapon Icons using their original variant as opposed to the Syndicate version. Fixed camera being set incorrectly when viewing the Mods screen in the Dojo. Fixed ‘help text’ such as in the Tutorial and Vor's Prize being visible from the back side. Fixed a long game hang when pressing the ‘Invite Friend’ button. Fixed overlapping UI when selecting a new Captura Scene while in Captura settings. Fixed Destreza Prime missing its Icon. Removed ability to use the controller DPad in the Arsenal to hover over the current Warframe Abilities since selecting them does nothing. Fixed inability to select/equip any Mods until exiting the Upgrade screen upon dismissing the error prompt for Mods also equipped on a Sentinel Weapon. Fixed controller DPad not functioning in Controller Bindings option and long binding names are now truncated and display the full name in a tooltip. Fixed pressing the Upgrade quick button with the controller can result in a different weapon to be selected on the Upgrade screen. Fixed Gear items being skipped over when using the controller DPad to select Gear items in the Arsenal. Fixed inability to select the ‘Default Colors’ option when using the controller DPad. Fixed having 2 visible cursors on the Advanced Plains Map when using a controller. Fixed accessing the Plains Advanced Map with a controller and then switching to Mouse/Keyboard resulting in non-functional buttons on screen. Tweaked the Oblivia Prime Syandana offset to be proportionately equal on numerous Warframes. The Market and Arsenal icons have also been changed for the Oblivia Prime Syandana to properly reflect the adjustments. Replaced the Bounty Level 40-60 Relic with a Axi O3. This fixes Bounty Level 40-60 Rotation B having the same Lith V5 Relic as Level 10-30. Optimized Framerate slightly in Defection missions. Removed unobtainable Plains of Eidolon Lore Fragments in the Codex. Specters can no longer trigger Operator Virtuos Arcanes. Fixed all ‘on damage’ Arcanes not triggering upon taking damage. Fixed Artax not functioning with Growing Power. Fixed Pyrana Primes ethereal buff being permanent by Transferring to the Operator while the ethereal Pyrana buff runs out. Fixed the Lith T2 Relic having 2 Braton Prime Blueprints as a reward (1 common and 1 uncommon). We replaced the common reward with the Valkyr Prime Blueprint. Fixed crash when taking an F6 screenshot after returning from Captura and on a loading screen en route to another mission. Fixed Mesa Regulator upgrades being applied twice for Clients. Fixed script error when trying to convert Shards when you have no Shards in your Inventory. Fixed a typo in an Ordis transmission. Removed ability to put Sacrificial Mods on Archwing Melee weapons. Fixed Umbra triggering Operator Virtuos Arcanes. Fixed Umbral set bonus not functioning after a Host Migration. Fixed receiving Umbra after failing the ‘Confront Umbra’ mission, which resulted in many issues with progressing in the quest. Fixed obtaining Umbra too early if you change your Arsenal loadout right before equipping him. Fixed Clients Transferring into Umbra killing their forward momentum. Fixed floating symbols in Orokin Cipher puzzle being invisible if your Warframe is cloaked.